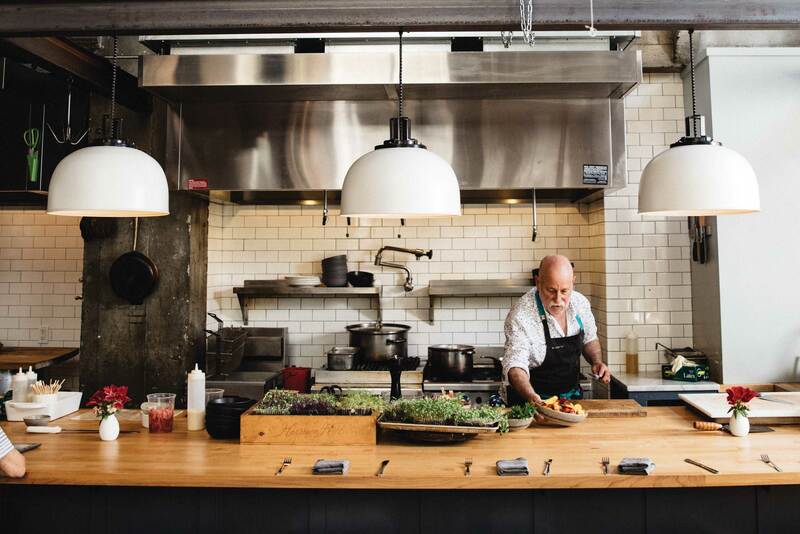 The unofficial center of Seattle’s LGBTQ community, this lively neighborhood buzzes with some of the city’s hippest restaurants, bars, and boutiques. With a retro Pacific Northwest feel straight out of Twin Peaks, Lost Lake Café plates diner mainstays like pies, pancakes, and gravy-smothered biscuits (and, of course, “damn good” coffee) 24 hours a day. Sample Middle Eastern street food from the walk-up window at Mamnoon, or head inside for mezze, fragrant grilled meats and fish, and baklava in a sleek, wood-accented dining room. Options abound at Chophouse Row, a tucked-away pedestrian alley of shops, bars, and restaurants; enjoy regional and imported wines paired with delicious small plates at Bar Ferdinand and French cuisine with Northwestern influences and ingredients at Marmite. Cozy armchairs, well-worn wood floors, and two stories of books await bibliophiles at Elliott Bay Book Company, which features a must-read section dedicated to regional history and works by local authors. Head to Drizzle & Shine for sustainably and ethically produced clothing and accessories for women and men, or splurge on looks from high-end designers like Jil Sander, Marni, and Balenciaga at Totokaelo, which also offers cashmere throws, Japanese linen towels, handcrafted ceramics, and other upscale home goods. Ready the selfie stick at Volunteer Park, where Isamu Noguchi’s ring-shaped sculpture Black Sun frames a perfect view of the Seattle skyline. 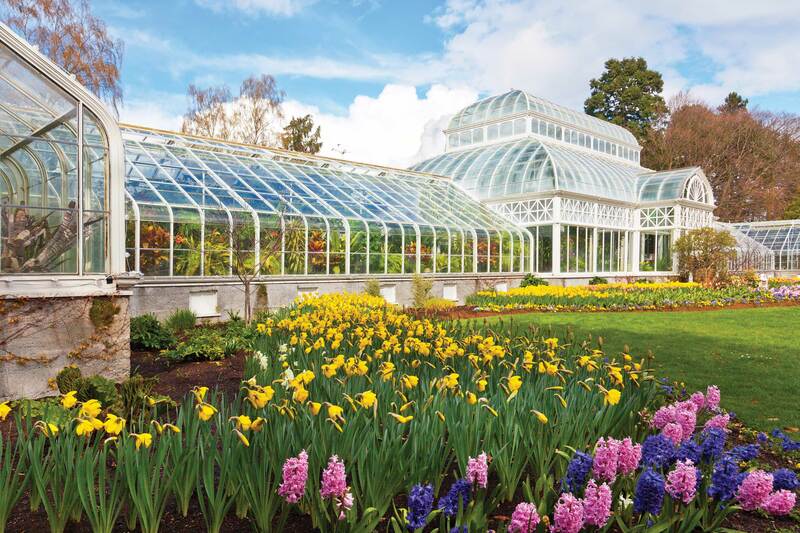 On the park’s northern end, a Victorian-era conservatory houses a collection of tropical and subtropical plants, including bromeliads, ferns, palms, and orchids. Strut your stuff at Century Ballroom, which hosts a series of nightly dance classes, including tango, swing, and bachata, on the second floor of a beautifully restored 1908 building. Across the street, Rock Box is a Japanese-style karaoke bar with private rooms where you can belt out your favorite tunes and indulge from a full-service menu of sake, cocktails, and charcuterie. 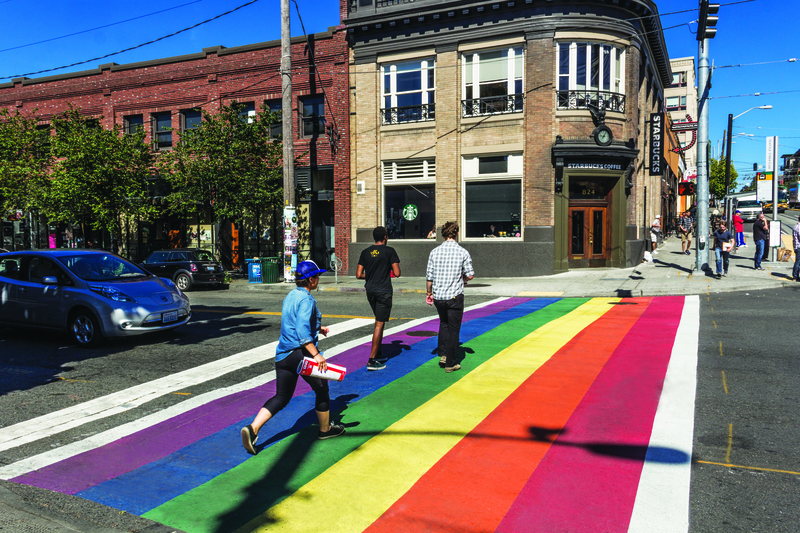 Several Capitol Hill crosswalks display LGBTQ pride with a rainbow paint job (created in 2015).